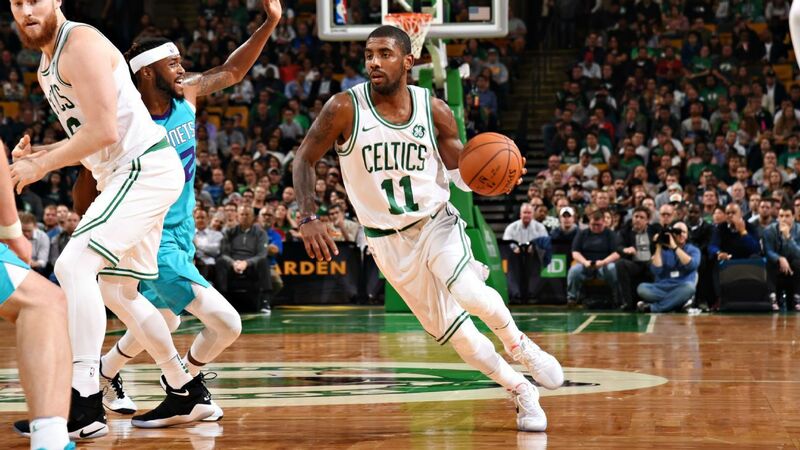 Is the Boston Celtics path to the playoffs certain? In a conversation after the Cavs dropped the ball against the against the Atlanta Hawks, falling to four-and-six an associate said, "It's supposed to be a two-horse race in the Eastern Conference; the Cavs are really #$%*ing the bed." And I agree. The path to a top seed in the playoffs is starting to look even clearer than previously thought. It's like the landscapers are out ahead, chopping all of the vines, weeds, and brambles that could trip you up on the trail. Through predictive power ratings and statistical probabilities, the Celtics (9-2 at time of writing) are already rated number-two in the country with a 98.8% probability of a playoff berth. You might be thinking, it's way too early to have hopes that high, but barring devastating unforeseen circumstance, I don’t think these predictive rankings are too far off. Currently, Cleveland sits back at 18th place overall in the NBA and a 52.8% chance of making the playoffs. Before, you get too excited –or start emailing us expletive laden hate mail for undervaluing the Cavaliers this early in the season—I do believe that the Cavaliers will begin to gel as a unit at some point, and they will make the playoffs (especially now that entrance is simply the top eight from each side, and has nothing to do with winning your division.) But, with each Boston win and each Cleveland loss, the path through the playoffs get tougher for King James and his Cavaliers. We'll have to keep an eye on top sports betting sites if these trends continue because so far, the markets haven't shifted much. Las Vegas and online shops still have the Cavaliers as the odds-on favorites to win the Eastern Conference. The Celtics are next in line, but still not getting the same kind of love as Kevin, Lebron, and Dwyane. But this could work to Boston's advantage. If the public and teams keep overlooking the Celtics and looking ahead to the Cavs. It will keep this young and talented team playing with a chip on their shoulder and reroute all roads to the playoffs straight through Boston, just like I-95. All roads out west lead through the Golden State Warriors, and I have to admit. The competition on that side is much steeper. After getting a taste of 2017-18 Eastern Conference play, of the NBA's top-15 in the current predictive power-rankings, only five come from the Eastern Conference and the Celtics expected season wins total went from 51 wins to 59 wins. This further supports the idea that the Celtics will essentially run the table in their division and conference. So far, it is looking like the biggest challenges will be coming from the Toronto Raptors, the Washington Wizards, and the Detroit Pistons look surprisingly good. However, I don’t think the Pistons can maintain the same high level of play late into the season. The same goes for the Hawks. They have been playing tough, but working very, very hard to get these wins. Lack of depth will be the bane of teams like these and this when we will most likely see the Cavaliers start climbing the seed rankings –if not sooner. Despite a slow start, we'll see a repeat of the 2017 Conference Finals, but I don’t believe it will be a Celtics-Cavs #1 vs. #2 like last season. I predict the Cavs enter somewhere around the 4th seed and have a tougher, more tiring run through the playoffs and to the Conference Finals and in 2018 we'll see an NBA Finals between two seaside cities. Golden State and Boston.